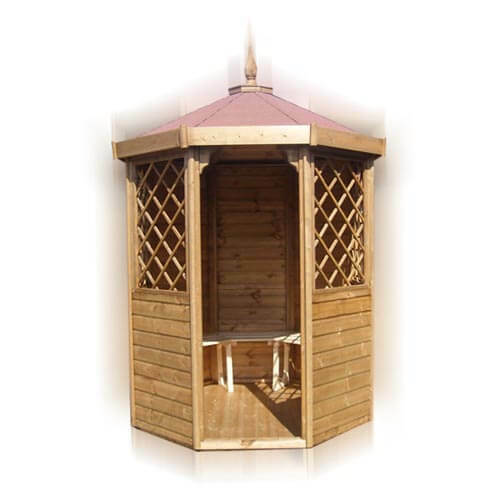 Large or small, contemporary or traditional, our range of wooden garden summerhouses has something to catch your eye. 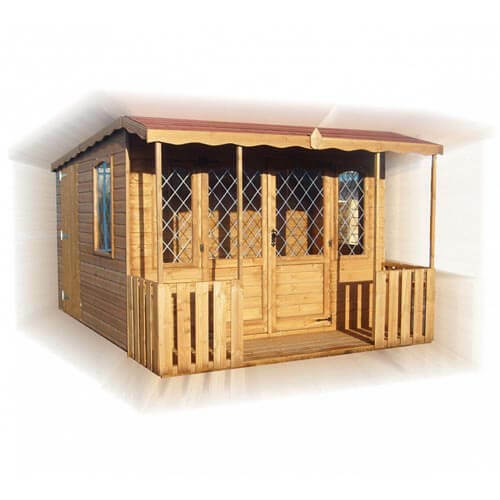 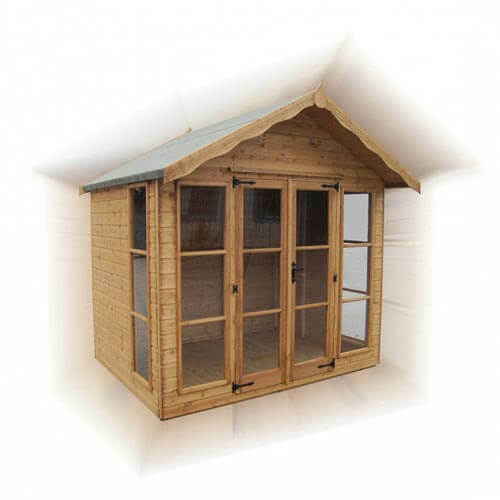 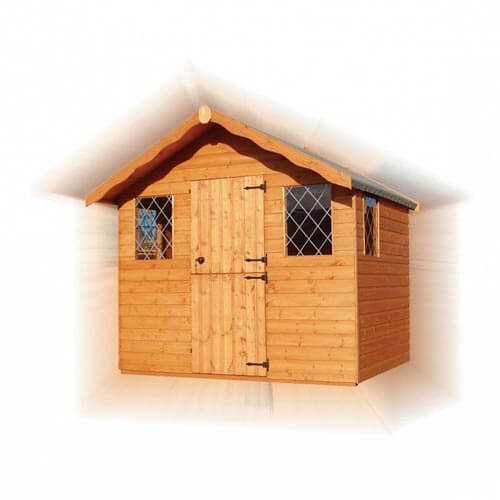 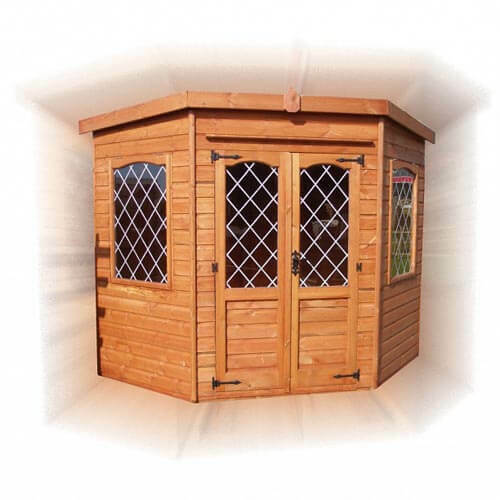 We believe our range has the perfect garden summerhouse for you and your garden. 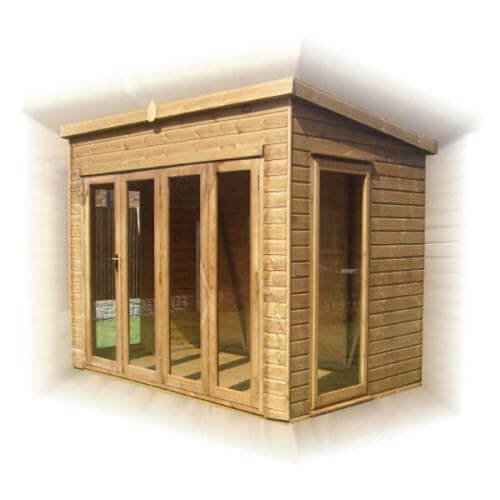 Our bespoke and pre-fabricated summerhouses offer contemporary and traditional wooden designs, providing a building which is truly unique. 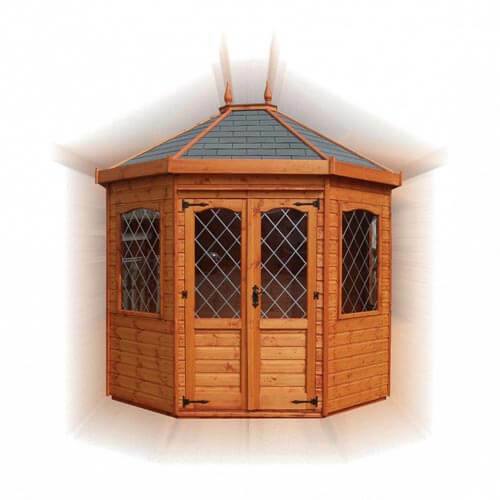 Many choices are available which include tempered-glass windows, verandahs, shed/house combinations and much more. 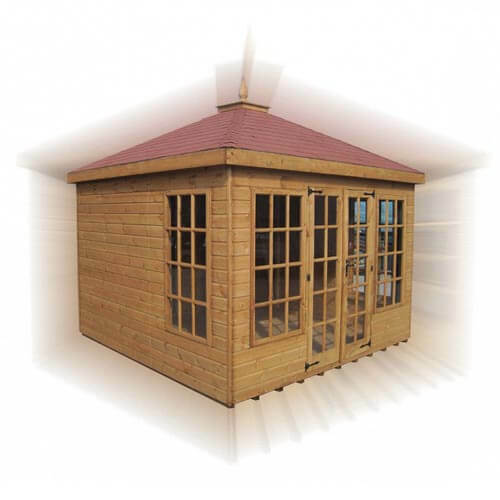 Select the perfect type of roof to suit you and your garden. 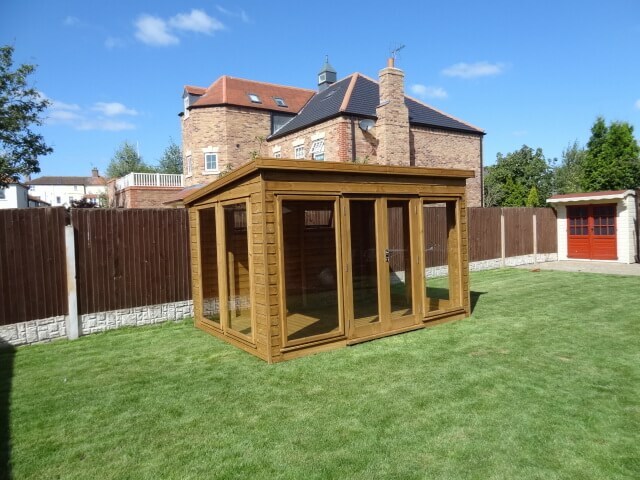 If you need groundwork or foundations laid, we are always happy to help and can answer any questions you have. 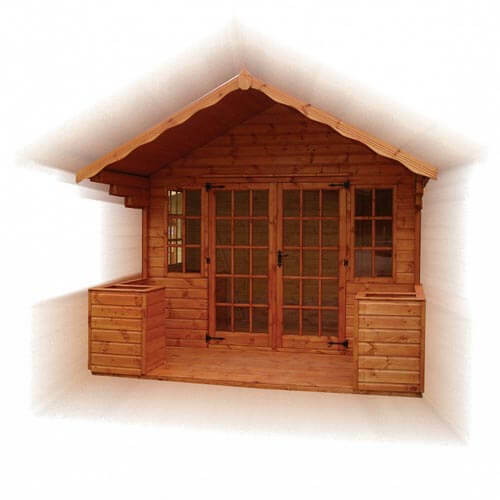 In the meantime, you can read through our Groundwork & Site Clearance guide. 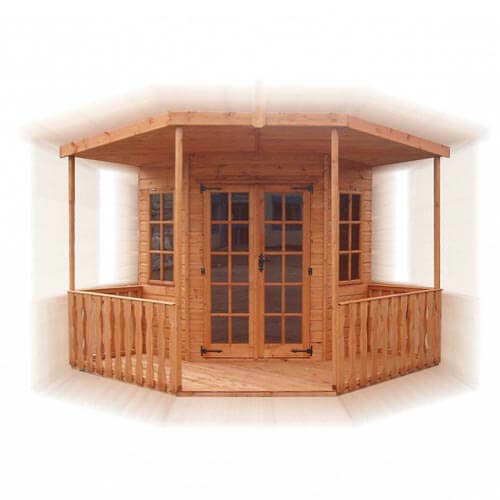 A corner summerhouse can be the perfect garden office, while a more deluxe, octagonal summerhouse provides a sunlit retreat during summer where you can relax in peace and stillness. 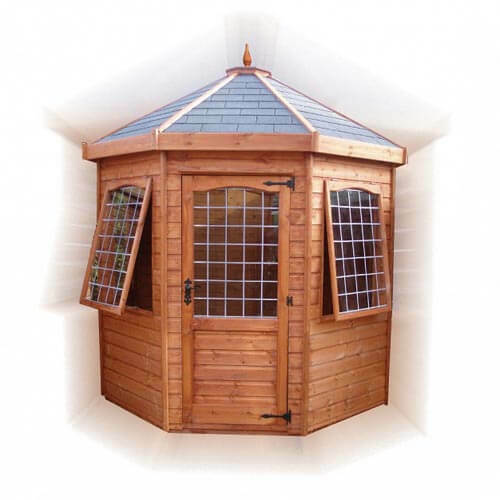 Our insulated models are perfect for colder autumn months, when you can watch the wind chase leaves through your garden. 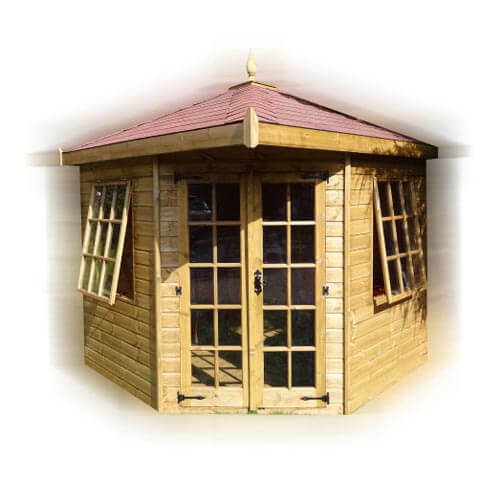 Alternatively, a gazebo-style building combines open style and practicality for a timber summerhouse that works perfectly as a party location. 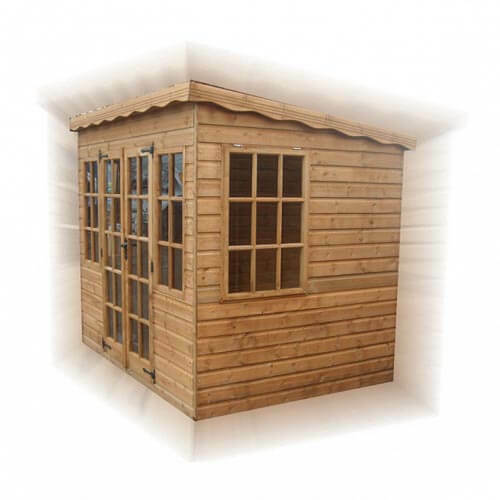 Before you can build your garden summerhouse, you need to plan your design and placement. 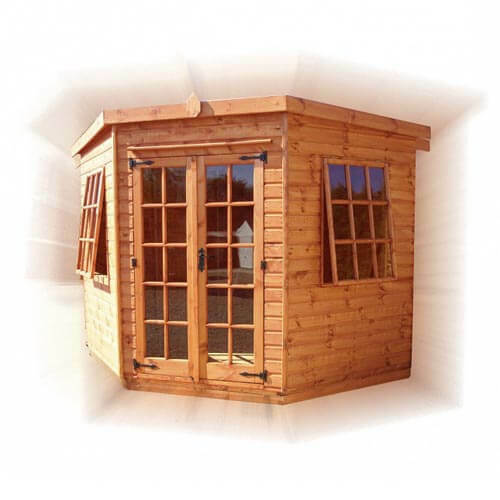 Building Regulations do not normally apply to summerhouses, but it is always worth double checking to ensure this and that there will be no unforeseen issues down the line.